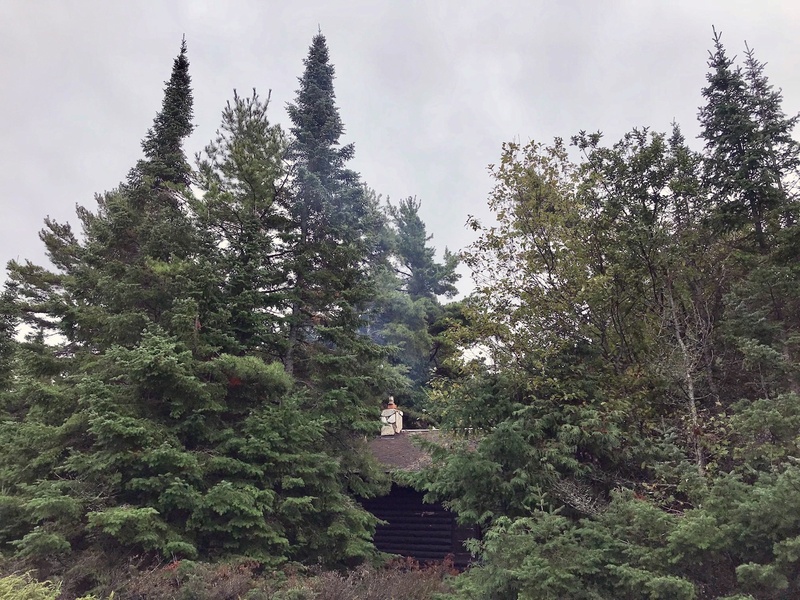 When I set out to find a combination of gorgeous wild Michigan scenery, rustic cabin vibes and a remote location where I hoped for no cell signal, I thought it wouldn’t be easy. 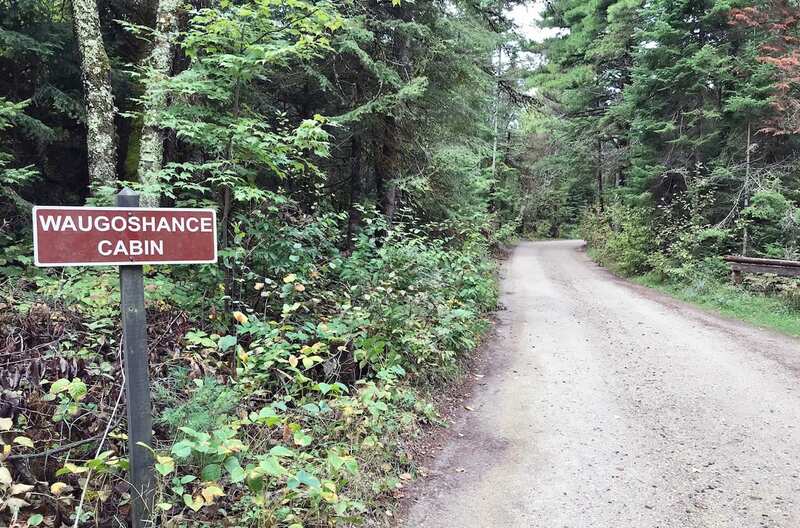 But sitting just a two-hour drive north of Traverse City, the historic Wilderness State Park in Carp Lake gave me everything I was hoping for and a few surprises that I didn’t expect. 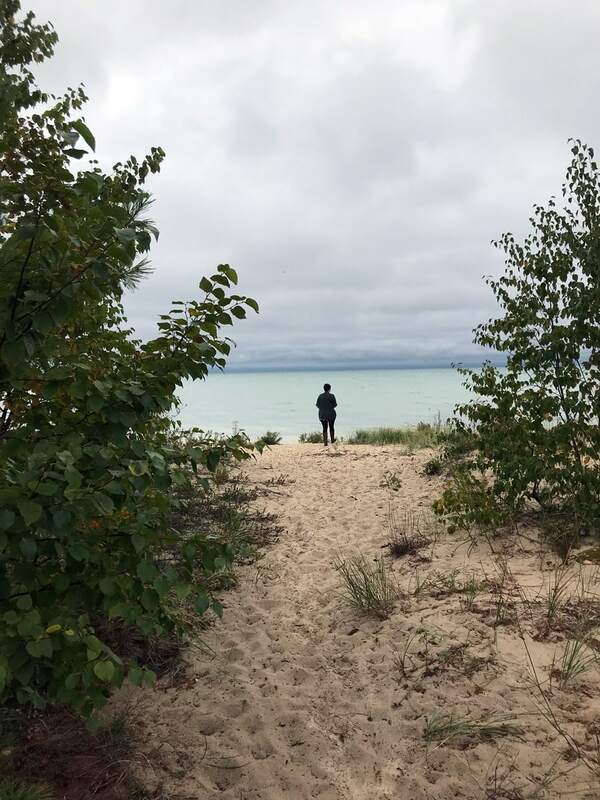 Founded in 1922, Wilderness State Park has more than 10,000 acres and 26 miles of pristine Lake Michigan coast covered with thick pine forests alive with critters from otters to bobcats to black bears. There are two islands within the park, and it’s also a Dark Sky Preserve offering spectacular views of the stars above. The scenic drive to Carp Lake passes through the farmlands and friendly towns of Elk Rapids, Charlevoix and Petoskey along US 31 North and introduces you to even smaller stops such as Pellston, Brutus and Ponshewaing. But it’s not until you make the turn off the highway onto Pleasantview, Gill and Cecil Bay roads that you start to fade into that quiet state of mind as the homesteads become fewer and fewer and the forest larger and larger. 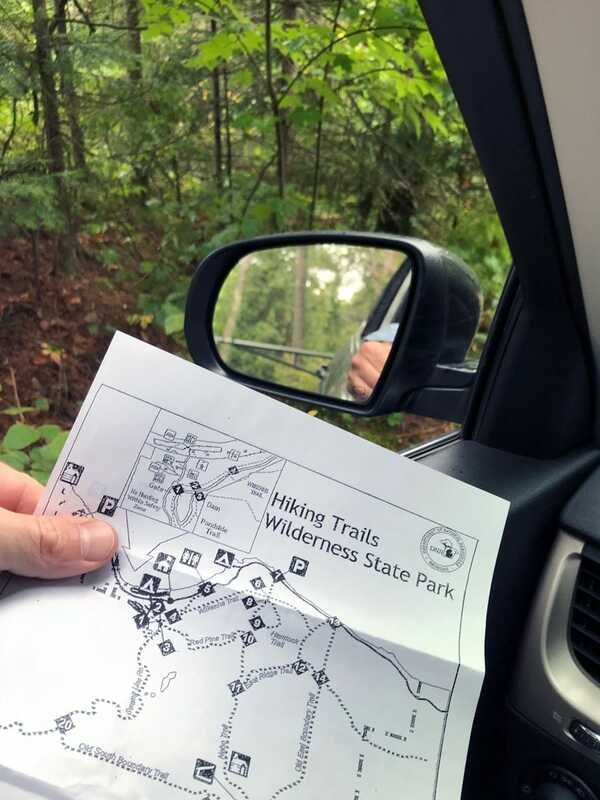 When you arrive at Wilderness State Park it’s clear you’ve made it to a special public place cared for by friendly rangers and staff. In addition to more than 250 outdoor campsites on the water’s edge and within the woods, you’ll find ranger offices, great parking lots with views and immaculate trails in every direction. But I was here for The Cabins. There are six of them in all, and two bunkhouses. The earliest built in 1933 by the Civilian Conservation Corps and the latest in 1989—their names invoke frontier spirit and natural landmarks: Nebo, Sturgeon Bay and Station Point. Arriving just as the ranger station had closed, I found a yellow telephone box and talked to a staffer who said they were expecting me and I could find my key hanging on the door at headquarters. It was, and I took my map and the keys and began driving to the edge of the park where asphalt gave way to gravel. I was suddenly in a tunnel of trees, winding miles into the park. 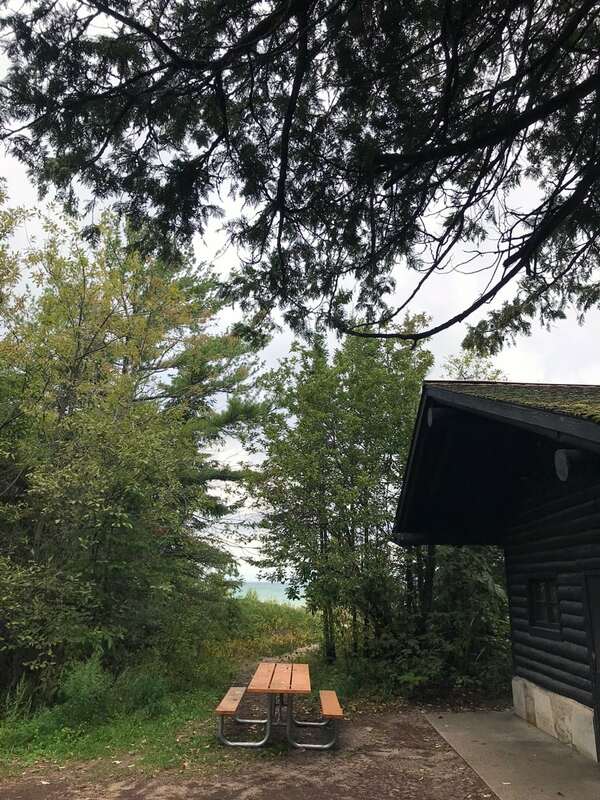 At the end, and after a deer bolted across the road in front of me, I found the gate to the Waugoshance Cabin—a simple and handsome structure with a hefty wood stove, bunk-beds, some modest but handcrafted wood chairs and a bay window looking out at the dunes, just a Petoskey stone’s throw away. The setting was the cabin’s real show-off feature. Like others before me, I delayed unloading the car and exploring the interior of the cabin in favor of heading straight for the dreamy sand path cutting through the dune grass and ending in a shoreline as gorgeous as any I’d seen in the world. My girlfriend and I just watched the small lapping waves of a dozen colors of blue hit the shore, pushed by a warm September wind. The clouds sped across the sky and the breezes picked up … a storm was coming. The inside of the cabin was big and stout but the old wood logs kept it warmed, even as the sun fell. I started a fire in the woodstove and we lit candles. The fire helped light the dark interior as I fired up our camp stove to make dinner: baked potatoes and sausages and a salad with apple slices. We powered up some music, a 1960’s mix, and settled in for the night. Dinner was hot and fulfilling, a good meal by any standard, especially one made with no running water or electricity—cooked by the fuel of the ancient ones. There was a relaxed but competitive game of Scrabble on the wooden table by the window. No cell-signal meant no access to the “I Told You So” online dictionaries, so words were played by the honor system. 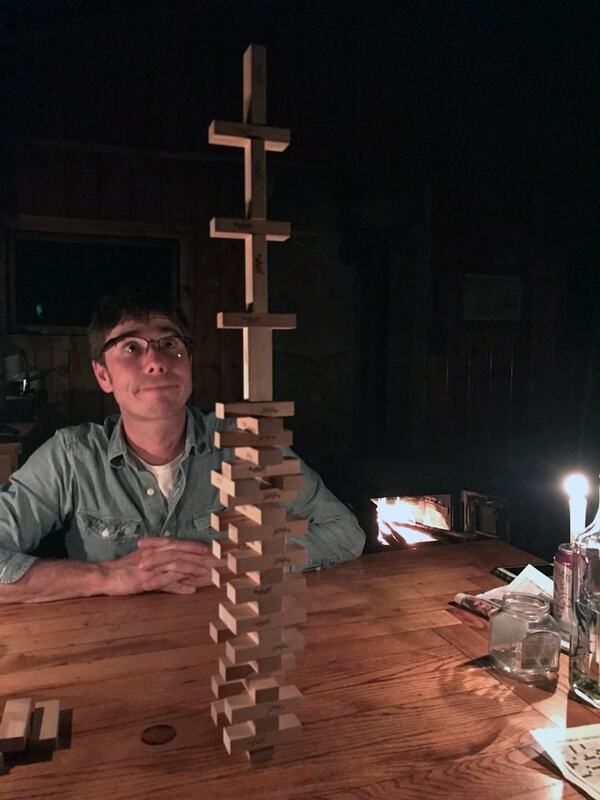 There was an epic Jenga battle with multiple rounds and fierce, bold moves. I tended the fire, now perfect with a bed of coals. Then a new card game and just talking, stopping to listen to the fire or the winds. It was almost midnight when we joined two of the bunk beds together, unrolled the sleeping bags and created our nest as best we could. The rain hit the moss-covered cabin roof all night and then dripped to the eaves and fell, creating water curtains outside every window. Many we left open so the fresh air and the smell of the rain could flow inside. In the early hours of the morning, we walked out to the shore in bare feet to watch distant lightning move across Lake Michigan. The beach was completely empty except for us. The natural show went on until we got cold and returned to the cabin. I tended the fire for the last time. We forgot the coffee, a major oversight, so we packed up our small footprint of gear, swept the floors, closed the windows and locked the cabin up again. One last trip through the gate and back onto the dirt road. Just for fun, we took a wrong turn—which ended in a small parking lot at the end of the jetty, another beautiful little beach where endangered piping plovers mate and lay eggs under protection from the park. There are only a few dozen pairs left fighting for survival. All that was left was to drop the key into the ranger office slot and we were back on the road. We stopped for coffee in Petoskey and got our caffeine fix to-go along with bites of our last apple, shared together in the car. Stopping on whims, we visited the World’s Largest Cherry Pie Tin* and a set of retired passenger trains called the Crooked Lake Express. We parked on the side of the road to admire a giant chicken sculpture, the hen wearing a red dress welcoming visitors passing through. The rain chased us back to Traverse City. The last thing to do was unpack the car and throw away the trash. We left no other trace of the adventure. You’ll forget something, but it’ll be okay! Part of the fun is having a few challenges, like how to prepare a whole meal with a single fork. Here are the things you must have because you won’t find them in your cabin: cookware, trash bags, dishware, toilet-paper, kindling and, of course, silverware. Cabin life gets dark faster than you’d think, and once the sun sets you’ll want a good light source. Check the lanterns and flashlights before you go to make sure they work. A generous supply of dry logs will be in your cabin, but you’ll need your own kindling and matches. You can buy extra bundles of wood inside the park for $6. You have to pack it all out, so don’t forget trash bags. It’s part of your responsibility to leave the place better than you found it. Bring simple meals that are easy to make. Prep ’em beforehand and just re-heat. Bring a little spice—mustard, salad dressing, salt and pepper—every meal made after an adventure tastes great, and you’ll be hungry, so make it hearty and special. You won’t regret it. And don’t forget snacks and a dessert. The cabins are designed for families and groups, so if you and your special someone go together, you might just be in separate bunk beds. Bring a sleeping bag and pillow for each person so you have it covered. The sleeping pads are pretty comfortable, and you just might get an epic good night of sleep with all that peace and quiet.